Looking to move to a totally IP surveillance camera network in the future but wanting to upgrade their current analogue cameras now, The Oracle shopping centre, Reading, is fulfilling both criteria – by installing the innovative Predator Hybrid camera from CCTV design and manufacturing company, 360 Vision Technology. Opened in September 1999, the first phase of The Oracle was followed in November of that year by The Riverside, a stylish choice of restaurants, pubs and cinema. The final phase completed the development in May 2000, which was officially opened by the Princess Royal. 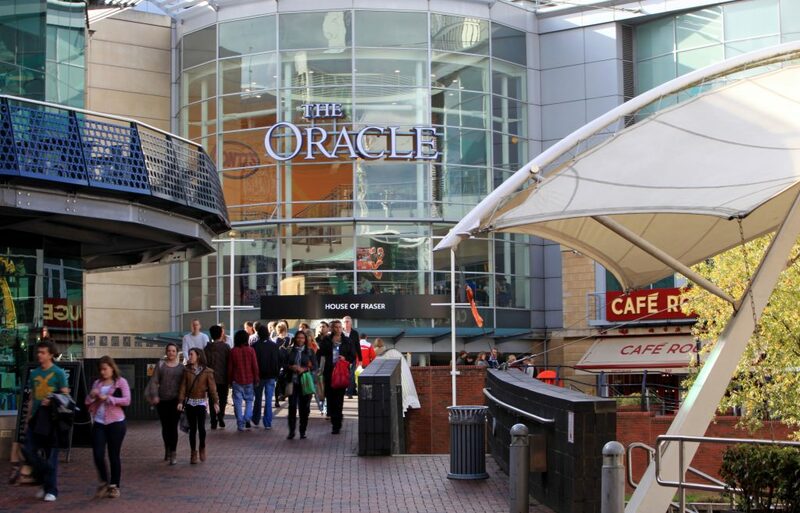 Along with The Riverside’s 22 restaurants, cafés and bars, The Oracle’s 90 stores and shops increases Reading’s retail outlet footage by thirty three percent. Visitors to the centre can utilise its two large car parks, which provide 2,300 vehicle spaces. Securing such a vast retail space presents a challenge for the on-site security team at The Oracle. The team consists of a mixture of guards in public areas of the centre, and highly skilled operators working in the CCTV control room, from where they can view a network of over 300 static, covert, PTZ and dome cameras. “As our security consultant of choice for many years, we have enjoyed a successful relationship with Zada Technology Ltd, in which time we have built a working relationship that has seen the installation of further cameras to our system,” explains Andy Salmon, Security Manager at The Oracle. “For the latest upgrade we had some concerns about investing in analogue cameras, only to be faced with them becoming obsolete and having to replace them in the future when we upgrade our control to IP, which will happen in the next round of planned rolling upgrade programme. Predator Hybrid also features ONVIF compliant or 360SDK protocols for fast set-up and IP68 certification to ensure continued performance in the harshest of environments – all backed by 360 Vision Technology’s comprehensive 3-year warranty, and their design and manufacturing base in the UK. Using the new Predator Hybrid cameras, the Oracle security team can view all aspects of the shopping centre’s malls and its vast car parks, in HD quality. These high-definition images are a great improvement on the original images and assist the control room team to easily identify suspicious and anti-social behavior. Better quality images also ensure that ‘known’ offenders can be identified as soon as they enter the centre, and their behavior monitored and recorded whilst they are on-site. The Oracle management team is now enjoying a future-proofed and cost-effective surveillance solution that is set to provide many years of continual service. The new 360 Vision Technology Predator Hybrid cameras are providing a highly-effective security and management tool – affording peace of mind to the millions of customers who visit The Oracle shopping centre each year.